Welcome to The Fountains, a well appointed and spacious 2 bedroom, 2 full bathroom condo just steps away from the Olympic Village, BC Place Stadium, and the Athletes Residences. Enter into The Fountains and you will note this 1000 sq ft condo has a lovely and comfortable atmosphere with lots of natural light. 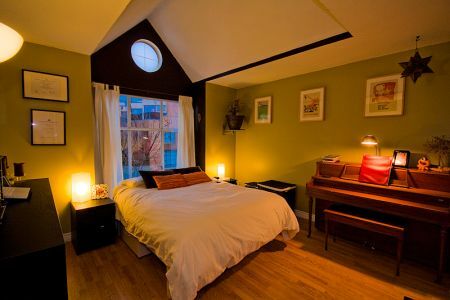 Features include hardwood floors throughout, vaulted ceilings, skylights, large rooftop patio, gas fireplace, laundry room, dishwasher, large living room with brand new queen-sized pull-out couch, full cable, wireless internet, stereo, spacious closets, microwave, toaster oven, piano, and 2 parking spaces. The Fountains is located at the base of the Cambie Street bridge, a very short walk to several venues, and a short distance by car or bus to several others including the Convention Centre, Pacific Coliseum, Agrodome, and the Vancouver Olympic/Paralympic Centre at Hillcrest Park. 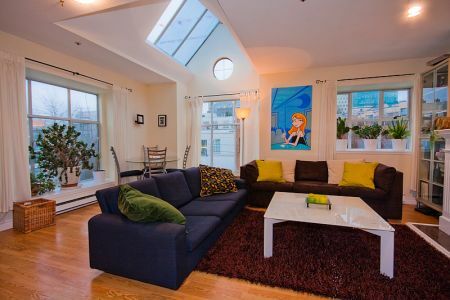 The condo is also situated steps away from the Seawall, a stretch of boardwalk that spans the entire coastline of the city proper that provides a stunning view of the city and direct access to the Aquabus, the city's water taxi service. Granville Island is a 10 minute walk from the condo along the Seawall. 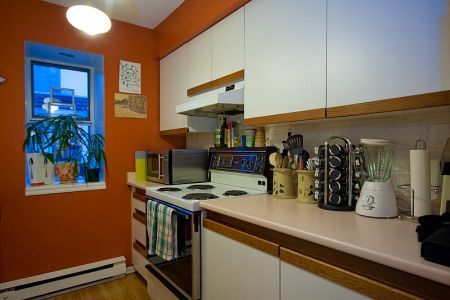 Also located steps away are several restaurants, both high end and casual, grocery stores, electronics and hardware stores, convenience stores, a video store, a shopping mall, and the city's largest hospital. 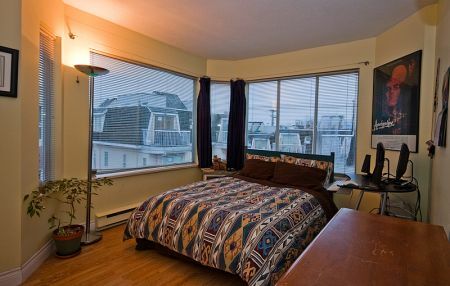 Access to regular and express buses and the SkyTrain are both 3 blocks away. 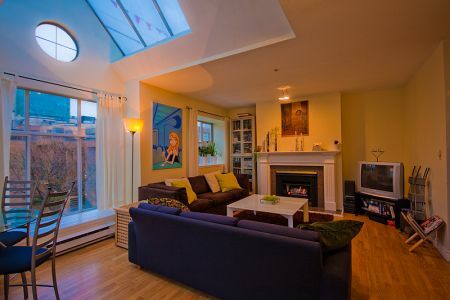 Nearby neighborhoods include Kitsilano, which also boasts several areas with strings of boutiques, restaurants, and specialty shops perfect for a day of browsing, and downtown is just across the Cambie Street bridge where visitors can enjoy a wide array of activities and easy access through downtown to the Lionsgate Bridge which leads to Whistler. There is a queen size pull out in the living room.